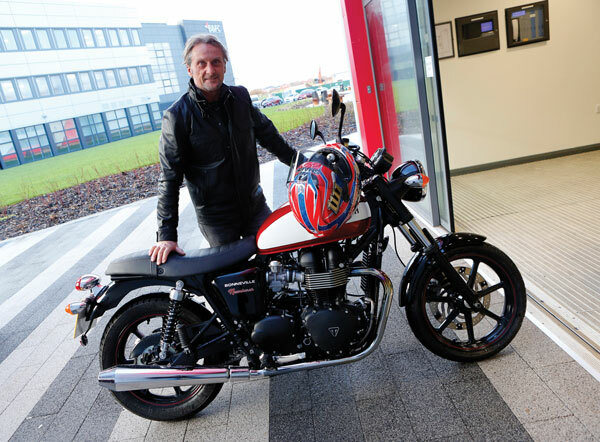 World superbike legend Carl Fogarty sped full throttle into Blackpool and the Fylde College last month to take a behind-the-scenes look at its new Advanced Technology Centre (ATC). 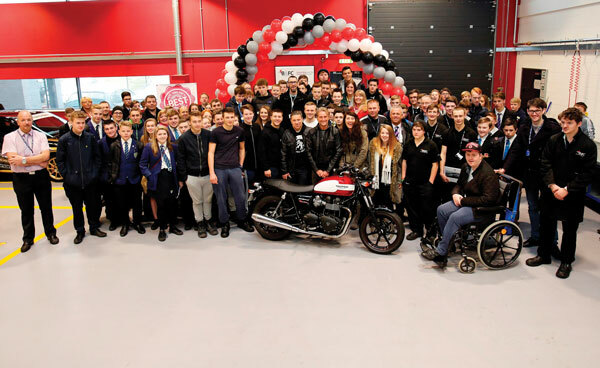 The most successful World Superbike racer of all time treated spectators to a lap of the college car park on his Triumph motorcycle before taking a Porsche 911 for a spin on the facility’s dynamometer equipment, clocking a top speed of 202mph. 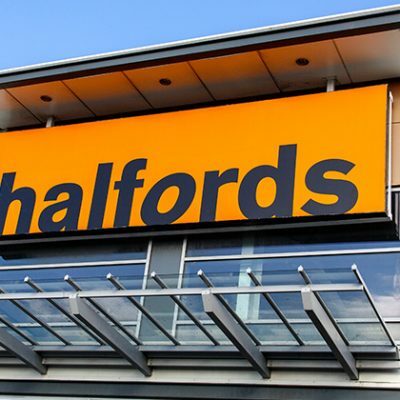 He also held a question and answer session with more than 100 local schoolchildren interested in engineering and science who had been invited to see the facilities for themselves. The ATC includes advanced engineering workshops with industry-level technology and a project zone for pneumatics, robotics and electronics.